BRITISH WAY OF LIFE Oh-so-british ! Naître et grandir pauvre en Grande-Bretagne est encore plus pénalisant que dans d’autres pays développés. C’est le constat que fait apparaître une étude menée par une ONG, Sutton Trust. Les enfants de milieux défavorisés fréquentent les écoles les moins performantes et poursuivent rarement des études. Dans les meilleurs établissements scolaires, 3% des élèves bénéficient d’une allocation au repas, contre 17% sur l’ensemble des établissements britanniques. 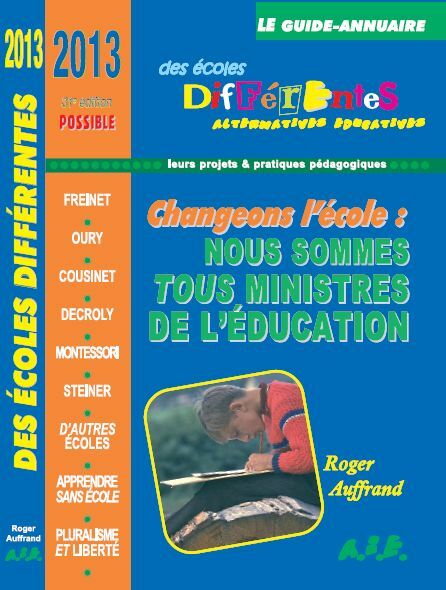 Les revenus de la famille influent directement sur le cursus scolaire des enfants. Ainsi, parmi les 20% les plus riches dans la population britannique, 47% obtiennent un diplôme universitaire, contre 9% parmi les 20% les plus pauvres. Children born to poor families in Britain are less likely to fulfil their potential than in other developed countries, according to a report published today. Researchers at the London School of Economics found that Britain appeared to have one of the worst records for social mobility in the developed world. They also concluded that Britons were less likely to break free of their backgrounds than in the past. Sir Peter Lampl, chairman of the Sutton Trust, an education charity which sponsored the study, described the findings as "truly shocking". "This is a damning picture and there simply isn't enough urgency to try and do something about it," he said. "The results show that social mobility in Britain is much lower than in other advanced countries and that it is declining." The report focused on how education affected the life chances of British children compared with those in other countries. It put the UK and the US at the bottom of a social mobility league table of eight European and North American countries, with Norway at the top followed by Denmark, Sweden, Finland, Germany and Canada. It concluded that wealth was more clearly linked to educational attainment in the UK than in the other countries, with children from poor backgrounds trapped in the worst schools and less likely to continue their studies. According to the report, just 3% of pupils in the best state schools were entitled to free school meals, compared with a national average of 17%, leading the researchers to conclude that "academic selection had been replaced by social selection". The study also found that the rapid expansion of higher education during the late 80s and 90s had not benefited the worst off. During that time the proportion of people from the poorest 20% of society getting a degree rose from 6% to 9%, but for the wealthiest 20% it rose from 20% to 47%. "The expansion of higher education since the late 1980s has so far disproportionately benefited those from more affluent families," the report said. "Family income in the childhood years does make a genuine difference to educational outcomes. Income inequality has risen at the same time as the gap between the educational attainments of the richest and poorest has grown." The prospects of poor children in the US were similar to those in Britain, the report said, although social mobility there was "static" while in the UK it was declining. Sir Peter said it was time for the government to take radical measures to tackle the problem and warned that election pledges to increase parental choice over children's schools would not help to reduce the class divide. "Who is exercising choice?" he said. "It's pretty obvious. There is a lot of rhetoric by the politicians about school choice but making it practically available to everybody just isn't happening." The report said more action was needed to help children from poor backgrounds, with the very young targeted first. "From early ages, including prior to school entry, Britain needs to adopt a strategy to equalise opportunities," it said. Sir Peter said the government needed to widen the education provision for pre-school children to a level similar to that in Scandinavia and called for the best state schools and elite universities to do more to attract a wider range of applicants. He said students aged 16 and over should be given financial help to encourage them to stay on at school or college and called for more school buses to help children in poor areas travel to the best schools. "There are practical things that can be done and it is imperative that we take real steps to address this shocking situation," he said. | 68 - 98 : les 30 P-l-eureuses | Et l'horreur éducative ?